I love the holidays! I love the cold weather, dressing in cute winter outfits, and drinking hot chocolate. I can't wait to start listening to Christmas music while cozily crocheting all the gifts I'll be giving to people. What better way to start December than by making a bunch of these adorable Christmas tree ornaments? I used this pattern by Jessica Felton. It works up quickly, so it was ideal for bulk production of these little trees. 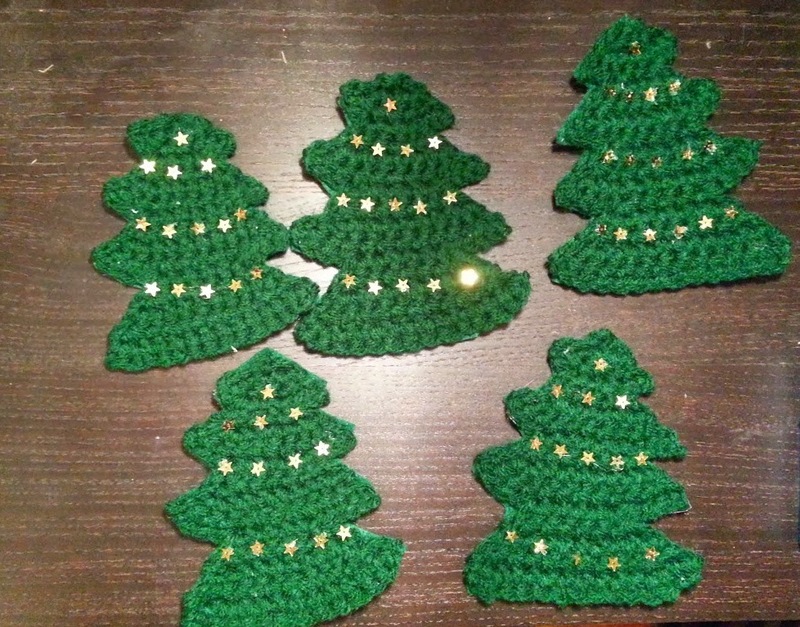 I used hot glue to felt the back of the trees and to glue the tiny star sequins on. It seemed less tedious to do that than to sew each little star on. I just need to find some sparkly string to complete the ornament.